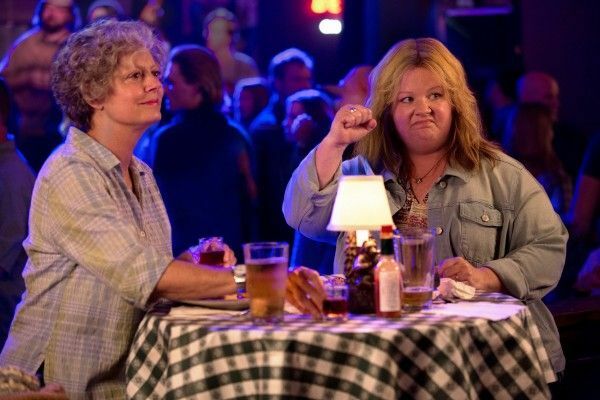 After years of toiling away in nameless bit parts like “Sky King Waitress” in Disney’s The Kid (2000) and thankless supporting parts in rom-coms like The Back-Up Plan (2010), Melissa McCarthy finally broke out as a big screen star in Bridesmaids (2011). Since then, she’s been on a career roll, acting in such box office hits as Identity Thief (2013) with Jason Bateman and The Heat (2013) with Sandra Bullock. 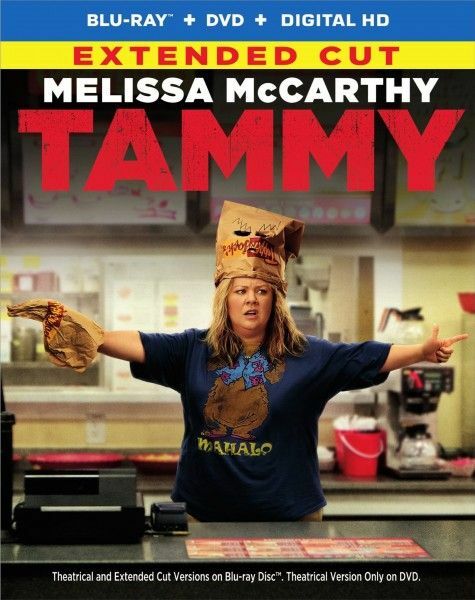 This summer, however, McCarthy set out to test her box office mettle without the help of a big name costar – well, at least not one made obvious in the film’s marketing materials – with Tammy, another middling, low-brow comedy hit. Written and directed by Ben Falcone, a.k.a. Mr. Melissa McCarthy, Tammy tells the story of a down-on-her-luck young woman (McCarthy) who, in one single, very bad day, loses her job, her car, and her cheating husband. In the angry aftermath, Tammy decides to escape her broken life and hit the road with her beer-guzzling, man-hungry grandmother Pearl, played by Susan Sarandon, star of arguably the best lady road movie ever made, Thelma & Louise (1991). Together, Tammy and Pearl endure a serious of comic misadventures on and off the road, some of them funny, like Tammy’s hilariously sweet-natured robbery of a fast food restaurant, and some of them not, like the scene where Tammy gets stuck outside a motel room while Pearl gets it on inside. Thankfully, the movie isn’t all dumb and dumber comedy bits. Toward the end of the second act, the always winning Kathy Bates shows up as Pearl’s hardworking lesbian cousin, who gives Tammy an important speech about growing up and the value of hard work. It’s an unexpectedly poignant moment reminiscent of the similar scene in Bridesmaids in which McCarthy’s character helped Kristen Wiig get off the couch and back on her feet. But sadly Bates is the only member of an overqualified supporting cast – including Allison Janney as Tammy’s mother, Dan Aykroyd as her father and Toni Collette as her husband’s mistress – given an acting moment worthy of her talent. But the film’s biggest casting snafu is Susan Sarandon as Pearl. Despite her best effort to age herself by wearing an unflattering gray wig, Sarandon is simply too young, too attractive and too nuanced an actress to portray the kind of profane, horny and cantankerous grandmother character typically found in a pea-brained Adam Sandler comedy. Sarandon’s visibly lost at sea here trying to play the kind of part the late, great Elaine Strich (Alec Baldwin’s mother in “30 Rock”) would have killed. Perhaps the studio sensed that Sarandon was the weak link and that’s why they hid her from Tammy’s theatrical marketing materials. What they didn’t hide, however, was McCarthy’s enduringly popular, id-like on-screen persona, which McCarthy certainly delivers here in spades. No one starring in big screen comedies today works harder or gives more to make an audience laugh. But without a great script or worthy on-screen costar or foil, it’s a bit too much McCarthy too much of the time and the actress strains to keep things interesting. Before she wears herself out doing another one of these larger-than-life characters, I’d recommend McCarthy take a tip from costar Kathy Bates and try mixing up comedic and dramatic roles. Maybe there’s even another Oscar nomination in her future for something more Misery than Tammy. The “Extended Cut” Combo Pack includes a Blu-ray disc with both the Theatrical Cut and the three-minute longer Extended Cut; a DVD of the Theatrical Cut; and a sheet with instructions on how to download your Ultraviolet copy of the movie. Bonus features include a Gag Reel – my favorite because I love seeing McCarthy crack her costars and herself up; Tammy’s Road Trip Checklist, in which cast and crew recall their own favorite road trip memories; 4 Deleted Scenes, all wisely cut; Poom-O-Rama, featuring alternate takes of Tammy saying “poom”; Wave-O-Rama with alternate takes of Tammy screwing around on a jet ski; and Mindless Chat-O-Rama. If you find the movie funny, you’ll probably enjoy these O-Ramas. O-Rnot. The film’s picture is presented with 1080p high def resolution in a 1.85:1 aspect ratio. Its bright, Americana colors really pop on screen. Sound options include English DTS-HD MA 5.1, along with Spanish and French Dolby Digital 5.1. Subtitle options are English SDH, French, and Spanish subtitles. No complaints on the sound front. In her first solo comedy vehicle, Melissa McCarthy struggles with a screenplay that doesn’t provide an engine worthy of her talents or those of the other overqualified actors stuck on board this hit-or-miss road comedy. Tammy’s Theatrical Cut has a run time of 97 minutes, while the Extended Cut has a run time of 100 minutes. Both are rated R for language, including sexual references.